Unless you’re independently wealthy, you probably live on a budget. These days, there are all sorts of tools and resources to help you keep your financial house in order. Whether you have assistance from an accountant, use a software program or mobile app, or simply scribble numbers in a notebook, they all start the same way: looking at your bank statement to analyze overall cash flow and make sure you’re not spending more than you earn. If the numbers are bad, your budget app (or your accountant) will dive deeper into the details to see exactly why you’re losing money and whether it’s a chronic issue or something easy to fix. Maybe you had some unexpected car repairs. Or maybe your “favorite” brother-in-law needed another loan. Or maybe you just overspent on food, fuel and fishing tackle. It doesn’t really matter what the reason is, as long as you find out and take the right steps to get back on track. It’s the same thing with testing your fiber network. In fact, the terminology is the same. You’re working to stay within a budget—the “loss budget” as it’s known. And the key to ensuring you’re within budget is using reliable testing processes and equipment that start broad and then go deep. After all, that’s what your budget app would do—but of course, that’s easier said than done when it comes to testing fiber networks that use parallel optics. Knowing How to Test Multi-Fiber Connectors (Like MPO) Can Pay Off Big! 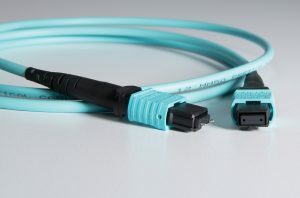 As mentioned in a recent blog, parallel optics technology, such as MPO connectors, are rapidly growing in popularity within data center and enterprise fiber networks. But testing these networks have introduced new challenges for both the installation tech, and the network operators. First, there’s not yet an established, standardized process for testing parallel optics. While a key focus of IEC working groups, being able to release a formal standard for testing parallel optics is a lengthy and complicated process. That’s because there are several configurations and other complexities to be covered. But the absence of standards hasn’t stopped the ever-growing use of parallel optics in today’s fiber network architectures. And this means the fiber techs who know how to test architectures that use MPO connectivity will have the most success. And of course, time is money. If your network is down or lagging, it brings your business down. Techs are under a lot of pressure to quickly confirm whether the overall system is running within tolerances (or budget), and—if not—isolate and fix the problem as quickly as possible. The logical place to start is running a basic “Tier 1” test, which checks length, loss, and polarity of the fiber links. But in a troubleshooting scenario, that’s often not enough information to find and fix the problem. First things first: Inspect Before You Connect – Dirty fiber end faces are the top cause of network issues. Unless fiber end faces and ferrules are virtually spotless and defect free, the system won’t perform the way it needs to. This is especially true for MPO connectors, as they are typically used in higher speed networks and have a higher probability of becoming contaminated. The only way to be sure is to inspect, clean, and inspect again. In our household budget scenario, think of this as checking your math when you balance your checkbook. You might not have a cash flow problem after all, right? Proceed to Tier 1 testing with an Optical Loss Test Set– Tier 1 testing provides overall information for the loss, length, and polarity of the fiber links. It shows how strong the signal is from beginning to end of the fiber. This is the minimum requirement for fiber network installers to test. It gets right to the point and tells you if your network is meeting the basic requirements or not. It doesn’t, however, identify individual events, or faults, that need to be fixed. Again, in our household budget, Tier 1 testing would be like looking at the top-line numbers; meaning, how much money you’ve earned and how much you’ve spent. It tells you right away whether there’s a problem. When testing MPO links, it is beneficial to use a test device with native MPO connections directly on the device, as it eliminates time consuming hassles with breakout cables. Follow up with Tier 2 testing using an OTDR – Tier 2 is widely considered to be supplemental to Tier 1 (and it is), but it offers a level of insight you can’t get with Tier 1. While Tier 1 provides the overall performance assessment, only Tier 2 shows whether each discrete signal loss is within spec. In other words, it helps isolate where any issue may lie. Getting back to our household budget analogy, think of Tier 2 testing as a line-by-line view of all expenses and income. It helps determine whether you are, indeed, eating out too much, or are only suffering a temporary budget shortfall because of those pesky car repairs. Tier 2 will show you where the problem is and how to fix it. An added benefit of Tier 2 if you’re a contractor: OTDR testing is what certifies the network and is usually a requirement before getting paid. For network managers, Tier 2 helps you meet internal SLAs and determine whether to upgrade equipment or simply fix what is already there. Using an OTDR with multi-fiber cables also utilized an MPO switch. This allows the OTDR to test each individual fiber in the multi-fiber cable. Today’s fiber technician can’t afford to wait on industry standards for prescriptive instructions on testing parallel optics. The demand is here now, and thankfully, best practices already exist and can be applied to just about any network configuration. The key is to eliminate the most likely causes of issues (dirty end faces). Then test your network, starting with overall performance (Tier 1) before narrowing down the specific location and cause (Tier 2). 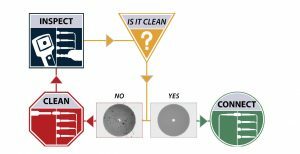 The VIAVI white paper, “Testing Parallel Optics” covers the topic at a more detailed level, including multiple configurations and testing scenarios for each. For more information on testing multi-fiber push on, visit us at www.viavisolutions.com/mpo and stay tuned for our upcoming Essentials of Multi-Fiber MPO Testing video series.